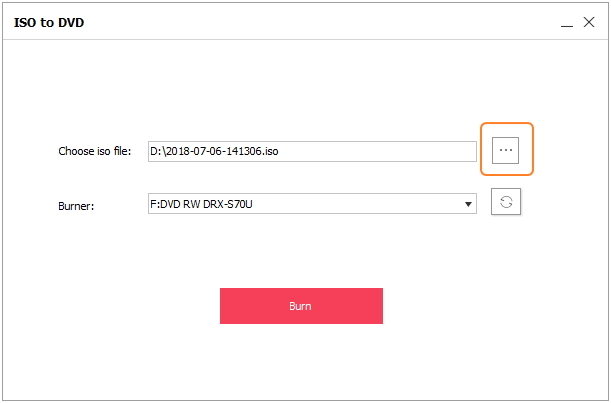 Are you looking for a way to burn ISO to DVD simply and quickly? Wondershare DVD Creator is the best ISO burner that you're looking for. Read the steps below and learn to burn ISO to DVD with a few clicks. To begin with, you should first download and install Wondershare DVD Creator on your PC. ISO to DVD is currently available for Windows version. Launch Wondershare DVD Creator and click More DVD Tools >> from the initial interface. 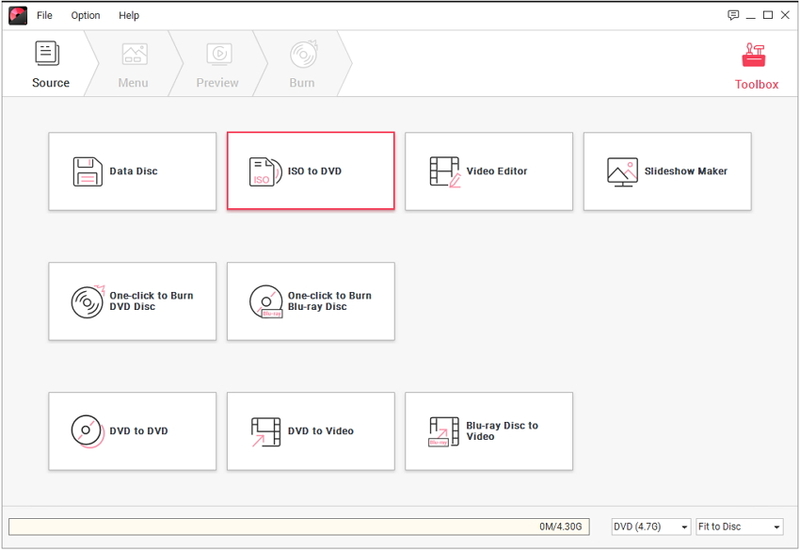 Then you'll come to the Toolbox page where displayed 9 bonus functions of Wondershare DVD Creator. Choose ISO to DVD option to burn ISO files to DVD. A new window named ISO to DVD will appear. Click the button to search and add ISO files present on your computer. 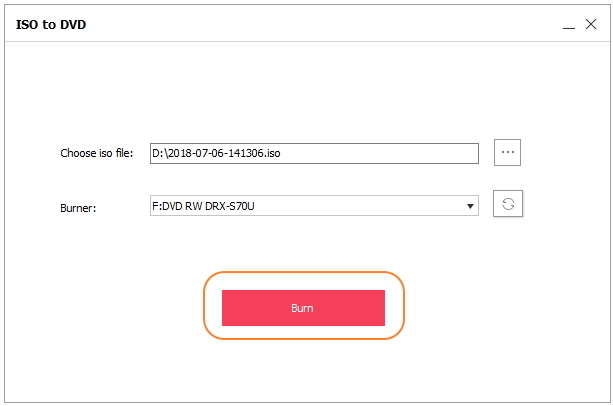 After you have added ISO files successfully, choose your burner and click the Burn button to burn ISO files to DVD. You'll get the interface below after the burning process completed. 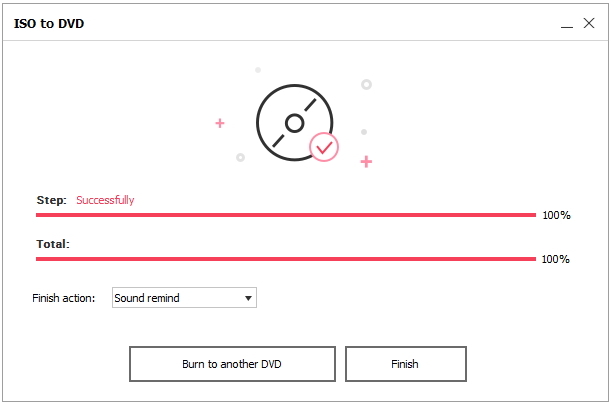 Click Burn to another DVD to continue burning another disc and click Finish to exit.